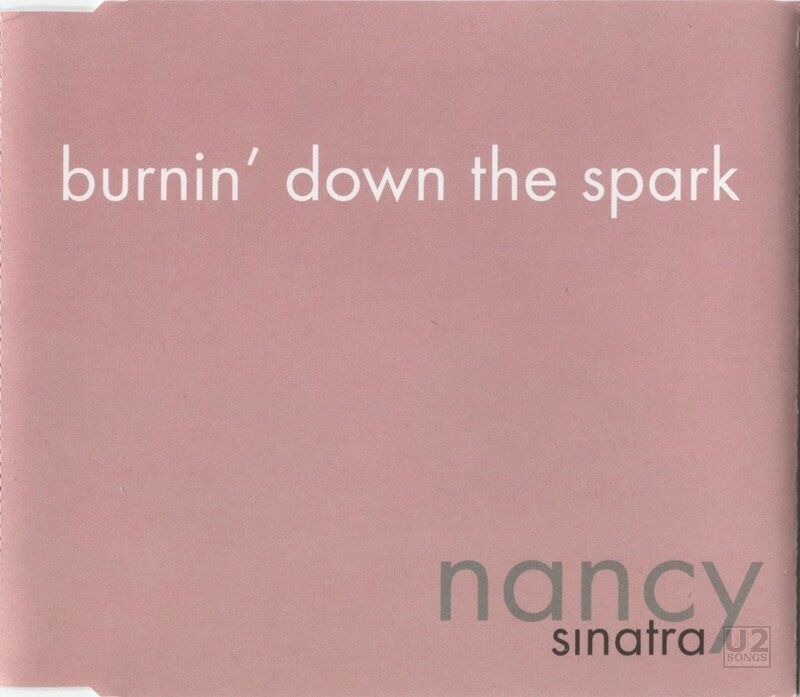 This 2004 single was released from Nancy Sinatra’s self-titled album “Nancy Sinatra”. The lead single is “Burnin’ Down the Spark” and the b-side is “Two Shots of Happy, One Shot of Sad”. The version included here on the single is the same as that found on her album. This song was written by Bono and The Edge for her late father. He never recorded the song, however U2 has used it at various tributes to Frank Sinatra over the years. Nancy chose to record the song, and approached U2 to play on the song. Only Larry and Adam were available to play on the track, but that combined with Bono and The Edge being credited with lyrics makes this a rare song where all of U2 are involved, but they are all involved separate. There was a promotional release of this single as well, however that did not contain “Two Shots of Happy” and only contained the single itself.